Blaze new trails with all-out comfort and confidence! What's standing in your way? Nothing, when you're wearing Merrell All Out Blaze Vent Mid Waterproof Hiking Shoes. They're made to go wherever you point your feet, rain or shine. Hit the trail. Climb a ridge. Knock out some yard work. Make the most of your weekend. And do it all in total comfort and confidence. Wet feet. Miserable hiker. It's that simple. 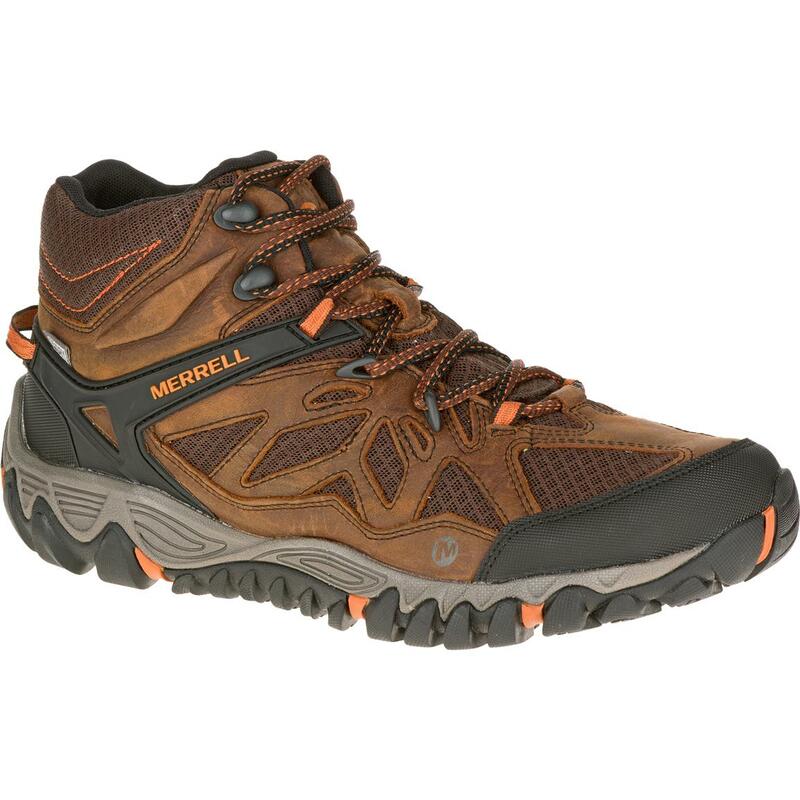 That's why Merrell All Out Blaze Hiking Boots feature famous M Select DryTM technology that provides a waterproof barrier between your feet and the forces of nature. It keeps your feet dry, which keeps you happy. Plus, it's designed to breathe by allowing sweat to escape, so your feet won't feel like you're wearing bread bags. Your feet work better when they're planted solidly on the ground. With that in mind, the Vibram TC5+ Outsole is designed to keep your feet underneath you at all times by providing sure-footed traction, whether you're on dry ground or slippery surfaces. Plus, the lug pattern is engineered to allow for better, more natural flexibility and stability. Each weighs approximately 15 ozs. Weight: Each approximately 15 ozs.